Enjoy your holidays from day one! 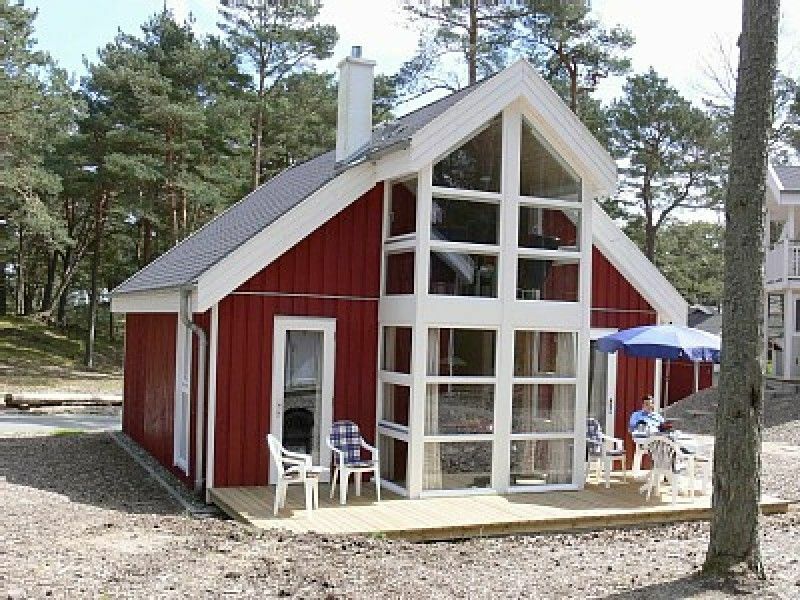 Our luxurious holiday home "Vineta 273" is located directly in the dunes, only about 50 m from one of the most beautiful beaches of the Baltic Sea. Here you have a fantastic backdrop of forest, dunes, beach and sea. The house has about 80 square meters of living and usable space on 2 levels and offers space for 4 - 6 people. It is lovingly furnished with a cozy sitting area with woodburning stove and an inviting dining area in the bay window. The kitchen is fully equipped with fridge, stove, dishwasher, microwave, dishes, etc. The spacious wellness area with whirlpool and sauna meets even the highest demands. On the ground floor there is also one of the two bedrooms. A staircase leads to the open, light-flooded gallery with a sitting area and the second bedroom. Even in the cold season, the house offers all comfort. It is equipped with electrical iFußbodenheizung, stove and zus. Electric heaters. Almost 2,000 hours of sun a year, fine sandy beaches and clear Baltic Sea water await you on Rügen. An island that combines completely different landscape forms. Idyllic lagoons, cliffs, vast forests and hilly peninsulas are just some of them. The small seaside resort of Baabe is located on the Mönchgut peninsula in the biosphere reserve and has one of the most beautiful sandy beaches in the Baltic Sea, which is also ideal for children, sloping gently into the water. In the village you will find in the beach street, the "Boulevard" Baabes, small shops that invite you to a stroll. If you want to keep your own kitchen closed, there are nice cafes and restaurants to linger. The beach road leads from the beach, with the tourist information, to the train station of the "Rasender Rolands", the oldest narrow-gauge railway in Germany. With this historic steam train you can go on excursions to the neighboring seaside resorts Göhren, Sellin and Binz or the historic Puttbus.